The trading range for the NZ dollar exchange rate against the US dollar continues to narrow up, as the “holding pattern” we have witnessed over the past month is a straight replica of the EUR/USD rate movements on global FX markets. The Kiwi has again found support at the 0.7180 area, however there appears to be very little interest to buy the NZ dollar above 0.7350. The Kiwi dollar is not being influenced by local business, economic or political factors at this time, as there are no fresh developments or significant positive or negative changes here in NZ to force the currency one way or the other. The EUR/USD rate has remained in its own tight range between $1.2300 and $1.2500 through this period. The mood and sentiment in international currency markets is that the US dollar should be strengthening against all currencies as the Federal Reserve increases interest rates this year and next, well ahead of other major economies. For this reason, the US dollar has not weakened to above $1.2500 against the Euro. For currency speculators and investors the “carry cost” of holding long Euro/short US dollar positions (US interest rates well above those in Europe) is a major impediment for USD selling and has prevented the $1.2500 barrier from being breached. Economists worry about America’s dual deficits, with the internal Government budget deficit forecast to increase over coming years as the Trump tax cuts reduce Government revenue. History tells us that the US dollar weakens on economic fundamentals grounds when their budget deficit widens. The “Fortress America” economic policies of the Trump regime are not seen as reducing the external trade deficit, because US exporters become less competitive on the international stage. Stronger global GDP growth in 2018, to date, has been positive for commodity prices and the USD value typically trades inversely to commodity prices. As emerging market economies do better with the higher commodity prices, they sell more USD’s against their own currencies to convert their export receipts. The increasingly bizarre and unpredictable statements and actions from President Trump on import tariffs to attacking the Amazon company (because they hurt the value of retail properties that Trump’s property mates are invested into!) continues to elevate US political risk in the eyes of investors around the world. The Trump initiated tariff/trade war with China is escalating and it is not positive for either economy. The loose cannon that is Mr Trump is firing daily and it is not instilling confidence anywhere too much! The three aforementioned US dollar negatives are much longer term in nature in terms of the likely economic impact and consequence. 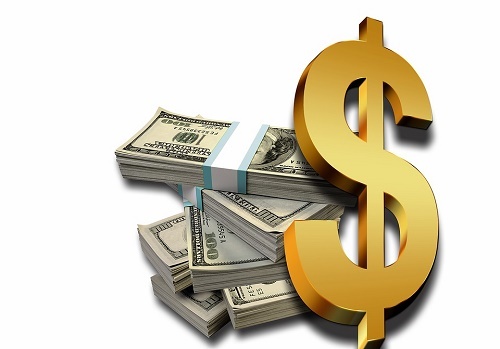 In the immediate future, the interest rate advantage the USD has over the Euro, in particular, must come to the fore and force the USD to strengthen from $1.2300 towards $1.2000. The anticipated USD gains should be sufficient to cause a more permanent step down in the NZD/USD rate to well below the 0.7180 support line. The NZD cross-rates to the Euro and GB Pound will remain stable in this environment as these currencies match the Kiwi’s movements against the stronger USD. It is difficult to decipher a good reason why the Kiwi dollar has out-performed its Trans-Tasman counterpart, the Aussie dollar, against the USD over recent weeks. The Australian dollar has been hit harder in global currency markets of late by the US/China trade war, as their economy is seen as more dependent on Chinese manufacturing and industrial commodities. One explanation is that dairy prices have been much more stable than volatile iron ore commodity prices over recent months. However, on economic growth and monetary policy grounds NZ and Australia are in line with each other currently and thus a higher NZD/AUD cross-rate to above 0.9400 does not seem justified or sustainable. The NZD/USD exchange rate certainly has some catching up to do to the weaker AUD/USD rate, which is trading on its lows at 0.7650. A break below 0.7180 in the NZD/USD rate should encourage more speculative selling of the Kiwi against the Aussie to realign the unjustified NZD outperformance. The Labour Coalition Government’s new workplace relations and employment legislation is not being seen in business and investment circles as positive for the NZ economy. The potential for increasing industrial strike action/disputes through this winter has previously been identified by this column as a risk for the economy and thus the currency value. Let us hope that this form of political ideology (more power to the trade unions) does not derail the current economic expansion on the back of high export commodity prices. Roger J Kerr contracts to PwC in the treasury advisory area. He specialises in fixed interest securities and is a commentator on economics and markets.